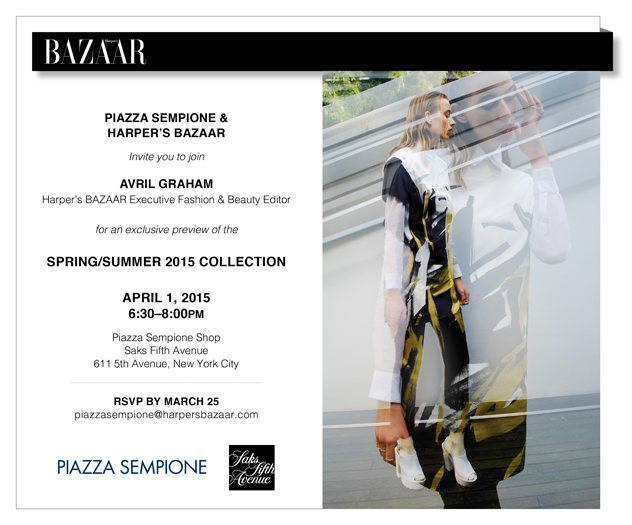 Piazza Sempione & Harper’s Bazaar invite you to join Aviril Graham (Harper’s Bazaar Executive Fashion & Beauty Editor) for an exclusive preview of the Spring/Summer 2015 Collection. Tags: Fashion, Free NYC, Harpers Bazaar, SS15. Bookmark the permalink.